New Paper Published: Marek Piotrowski, Miguel Franco, Viviana Sousa, Jose Rodrigues, Francis Leonard Deepak, Yohei Kakefuda, Naoyuki Kawamoto, Tetsuya Baba, Bryan Owens-Baird, Pedro Alpuim, Kirill Kovnir, Takao Mori, Yury V. Kolenko, Probing of Thermal Transport in 50-nm Thick PbTe Nanocrystal Film by Time-Domain Thermoreflectance, J. Phys. Chem C, 2018, 122, 27127-27134. New Paper Published: N. M. Batra, E. A. Anumol, J. Smajic, A. N. Enyashin, F. L. Deepak and P. M. F. J. Costa, Morphological phase diagram of a metal halide encapsulated in carbon nanotubes, J. Phys. Chem C, 2018, 122, 24967-24976. New Paper Published : E. A. Anumol, F. L. Deepak, A. N. Enyashin, Capillary filling of carbon nanotubes by BiCl3: TEM and MD insight, Nanosystems: Physics, Chemistry, Mathematics, 2018, 9 (4), P. 1-11. Junjie was at the 19th International Microscopy Congress (http://imc19.com/), Sydney, Australia. Leonard was at the M&M 2018 Microscopy & Microanalysis Meeting (https://www.microscopy.org/mandm/2018/), Baltimore, US. Paper Published in Scientific Reports: E. A. Anumol, A. N. Enyashin, F. L. Deepak, Single Walled BiI3 Nanotubes Encapsulated within Carbon Nanotubes, Scientific Reports 2018, 8, 10133. Paper Published in Advanced Science: In situ Atomic-Scale Study of Particle-Mediated Nucleation and Growth in Amorphous Bi to Nanocrystal Phase Transformation, Junjie Li, Jiangchun Chen, Hua Wang, Na Chen, Zhongchang Wang, Lin Guo and Francis Leonard Deepak, Adv. Sci., 2018, 1700992; DOI: 10.1002/advs.201700992. Paper published in J.Man.Process: Multilevel Process on Large Area Wafers for Nanoscale Devices, B. J. Pires, A. V. Silva, A. Moskaltsova, F. L. Deepak, P. Brogueira, D. C. Leitao, S. Cardoso, J. Manufacturing Processes, 2018, 32, 222-229. Paper published in Appl.Surf.Sci: Biocompatible Au@Carbynoid/Pluronic-F127 nanocomposites synthesized by pulsed laser ablation assisted CO2 recycling, T. Del Rosso, S.R.W. Louro, F.L. Deepak, et al. Appl Surf. Sci., 2018, 441, 347-355. Paper published in J. Phys. Chem. Lett: Direct Atomic-Scale Observation of Intermediate Pathways of Melting and Crystallization in Supported Bi-Nanoparticles, Junjie Li, Zhongchang Wang and Francis Leonard Deepak, J. Phys. Chem. Lett., 2018, 9, 961-969. Paper published in J. Phys. Chem. C: Atomic-Scale Understanding of Gold Cluster Growth on Different Substrates and Adsorption-Induced Structural Change, Qiang Li, Deqiang, Yin, Junjie Li, and Francis Leonard Deepak, J. Phys. Chem. C, 2018, 122, 1753-1760. The Nanostructured Materials group is involved in investigating fundamental aspects and phenomena at the atomic scale. This is achieved by employing state of the art aberration corrected TEM/STEM imaging and In situ experimentation in combination with image processing, simulations and theoretical calculations. 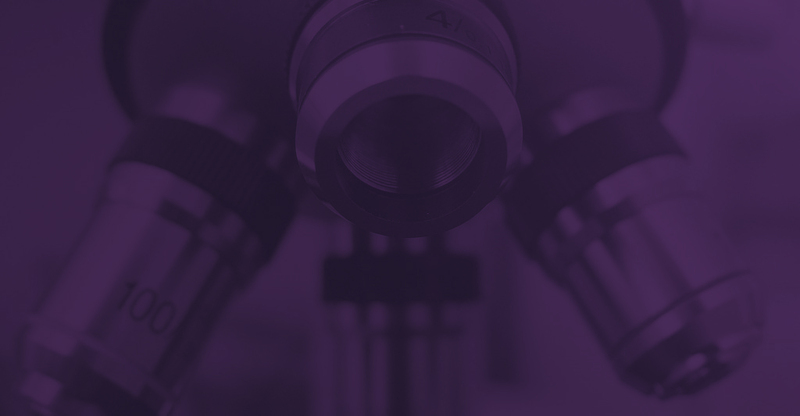 The group has a set of focused and passionate researchers working on current key topics towards implementing advanced electron microscopy techniques and their applications to a variety of nanomaterials, thin films, nanodevices etc. Some of the key materials investigated include energy related and catalytically important materials; the emphasis being on correlating their atomic structure and chemical composition with their properties and potential applications. Understanding the atomic structure of materials is fundamental to exploring their various interesting properties: magnetic, optical and optoelectronic and this is achieved by carrying out aberration corrected S/TEM imaging in combination with analytical electron microscopy. We also have several current and ongoing collaborations with international researchers who are leading experts in the field. Our work is published in leading international journals and include several review articles, book chapters and edited books. We are always open for new team members. If you are interested in joining the team and applying for external funding (i.e. Marie Curie, FCT, etc. ), let us know. For further queries please contact the Research Group Leader: Leonard Deepak Francis (leonard.francis@inl.int). 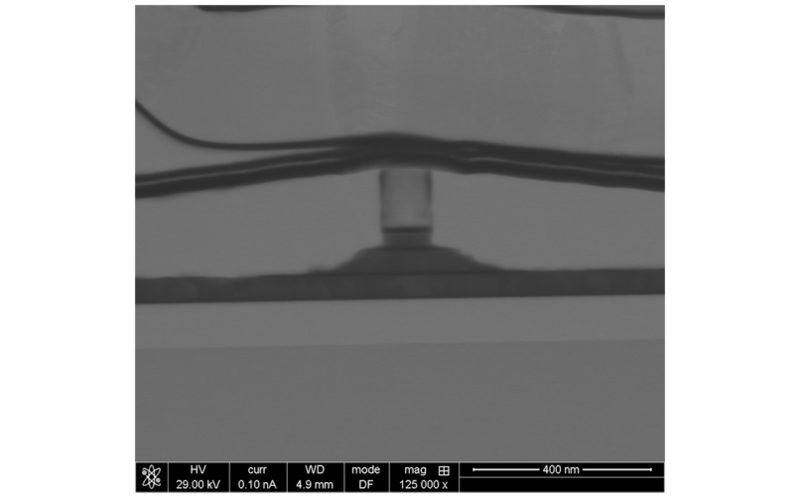 The project “Correlated Analysis of Inorganic Solar Cells in and outside an electron microscope” aims to fabricate in-situ TEM cartridges for carrying out electrical measurements of CIGS solar cells. These chips will be universally adaptable, provide flexibility and significant advantages to the existing ones and will enable simultaneous experimentation both inside and outside the TEM. Subsequent to their fabrication they will be employed to the study of a solar cell device (CIGS) under near-operating conditions, providing unprecedented insight into relevant processes at grain boundaries and interfaces by using correlated multi-scale analysis with resolutions ranging from the atom to the entire device. FCT Funded Project: Correlated Analysis of Inorganic Solar Cells in and outside an Electron Microscope (CASOLEM). Uncovering dynamical processes of lattice induced epitaxial growth of nanocrystal on the support is critical to understanding crystallization, solid-phase epitaxial growth, Oswald ripening process, and advanced nanofabrication, all of which are linked to different important applications in material field. Here, we conduct direct in-situ atomic-scale dynamical observation of segregated Bi layers on SrBi2Ta2O9 support under low dose electron irradiation to explore the nucleation and growth from an initial disordered solid state to a stable faceted crystal by using aberration corrected transmission electron microscopy (AC-TEM). We have provided, for the first time, atomic-scale insights into the initial pre-nucleation stage of lattice induced interfacial nucleation, size-dependent crystalline fluctuation and stepped growth stage of the formed nanocrystal on the oxide support at the atomic scale. We identify a critical diameter in forming a stable faceted configuration and find interestingly that the stable nanocrystal presents a size-dependent coalescence mechanism. These results offer an atomic-scale view into dynamic process at solid/solid interfaces, which has implications for thin film growth and advanced nanofabrication. Unravelling dynamical processes of liquid droplets at liquid/solid interfaces and the interfacial ordering is critical to understanding solidification, liquid-phase epitaxial growth, wetting, liquid-phase joining, crystal growth, and lubrication process, all of which are linked to different important applications in material science. In this work, we observe direct in-situ atomic-scale behaviour of Bi droplets segregated on SrBi2Ta2O9 by using aberration corrected transmission electron microscopy and demonstrate ordered interface and surface structures for the droplets on the oxide at the atomic-scale and unravel a nucleation mechanism involving droplet coalescence at the liquid/solid interface. 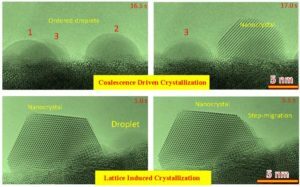 We identify a critical diameter of the formed nanocrystal in stabilizing the crystalline phase and reveal lattice induced fast crystallization of the droplet at the initial stage of the coalescence of nanocrystal with droplet. Further sequential observations show the stepped coalescence and growth mechanism of the nanocrystals at the atomic-scale. These results offer insights into the dynamic process at liquid/solid interfaces, which may have implications for many functionalities of materials and their applications. 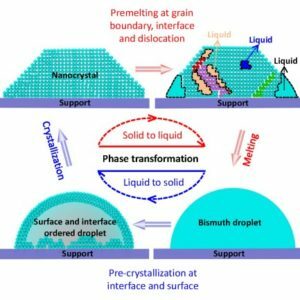 Uncovering the evolutional pathways of melting and crystallization atomically is critical to understanding complex microscopic mechanism of first-order phase transformation. Here, we conduct in-situ atomic-scale observations of melting and crystallization in supported Bi-nanoparticles under heating and cooling within an aberration-corrected TEM. We provide direct evidence to the multiple intermediate state events in melting and crystallization. The melting of the supported nanocrystal involves the formation and migration of domain boundaries and dislocations due to the atomic rearrangement under heating, which occurs through a size-dependent multiple intermediate state. A critical size, which is key to inducing the transition pathway in melting from two to four barriers, is identified for the nanocrystal. In contrast, crystallization of a Bi droplet involves three stages. These findings demonstrate that the phase transformations cannot be viewed as a simple single barrier- crossing event but as a complex multiple intermediate state phenomenon, highlighting the importance of nonlocal behaviors. Understanding classical and non-classical mechanisms of crystal nucleation and growth at the atomic scale has been of great interest to scientists in many disciplines. However, fulfilling direct atomic-scale observation still poses a significant challenge. Here, by taking a thin amorphous Bi metal nanosheet as a model system, we provide direct atomic resolution of the crystal nucleation and growth initiated from an amorphous state of Bi metal under electron beam inside an aberration corrected transmission electron microscope. We show that the crystal nucleation and growth in the phase transformation of Bi metal from amorphous to crystalline structure takes place via the particle-mediated non-classical mechanism instead of the classical atom-mediated mechanism. 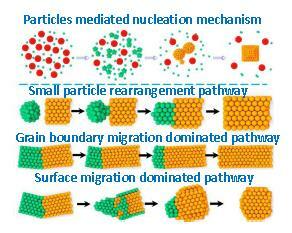 The dimension of the smaller particles in two contacted nanoparticles and their mutual orientation relationship are critical to governing several coalescence pathways: total rearrangement pathway, grain boundary migration dominated pathway and surface migration dominated pathway. Sequential strain analyses imply that migration of grain boundary is driven by strain difference in two Bi nanocrystals and the coalescence of nanocrystals is a defect reduction process. The findings may provide useful information on clarifying nanocrystal growth mechanisms of other materials at the atomic scale. Dr. Qiang Li (School of Mechanical Engineering, University of Shanghai for Science and Technology, Shanghai 200093, China). C. Chen, Dr. H. Wang, and Prof. L. Guo (School of Chemistry and Environment, Beihang University Beijing 100191, China). Prof. N. Chen (School of Materials Science and Engineering Tsinghua University Beijing 100084, China). Dr. Zhongchang Wang (Advanced Institute for Materials Research, Tohoku University, 2-1-1 Katahira, Aoba-ku, Sendai 980-8577, Japan). In situ Atomic-Scale Study of Particle-Mediated Nucleation and Growth in Amorphous Bi to Nanocrystal Phase Transformation, Junjie Li, Jiangchun Chen, Hua Wang, Na Chen, Zhongchang Wang, Lin Guo and Francis Leonard Deepak, Adv. Sci., 2018, 1700992; DOI: 10.1002/advs.201700992. Direct Atomic-Scale Observation of Intermediate Pathways of Melting and Crystallization in Supported Bi-Nanoparticles, Junjie Li, Zhongchang Wang and Francis Leonard Deepak, J. Phys. Chem. Lett., 2018, 9, 961-969. In Situ Atomic-Scale Observation of Droplet Coalescence Driven Nucleation and Growth at Liquid/Solid Interfaces, Junjie Li, Zhongchang Wang, and Francis Leonard Deepak, ACS Nano, 2017, 11 (6), pp 5590–5597. Real-Time Dynamical Observation of Lattice Induced Nucleation and Growth in Interfacial Solid-Solid Phase Transitions, Junjie Li, Qiang Li, Zhongchang Wang, and Francis Leonard Deepak, Cryst. Growth Des., 2016, 16, 7256−7262. The hollow interior core of nanotubes, both carbon and non-carbon (BN, WS2 etc.) provide the necessary space for the filling, encapsulation and confinement of molecules and crystals both organic and inorganic. In addition they provide templates for the formation of core-shell nanotubes. The reduced dimensionality of the encapsulated material as a consequence of “confinement” presents the advantage of different characteristics compared to that of the bulk material. The interaction between the encapsulated material and the host nanotube plays a crucial role and therefore can govern the structure and electronic properties of such a system. In this project nanotubes (CNTs as well as Inorganic NTs) which provide accessible space for templated growth of nanotubes or nanorods within them are employed to encapsulate metal halides such as GdI3 and BiI3 which are contrast agents for biomedical imaging. Capillary filling is employed to encapsulate these metal halides within nanotubes of carbon and WS2 to obtain core-shell nanotubes and/or nanorods. Aberration Corrected Scanning/Transmission Electron Microscopy and Spectroscopy using the Titan G2 80-200 TEM/STEM with ChemiSTEM Technology and FEI Titan Themis 60-300 kV is employed to characterize the atomic structure, morphology and composition of these core-shell structures. Dr. Andrey Enyashin: Molecular Dynamics Simulation (Ural Federal University, Institute of Natural Sciences and Mathematics, Ekaterinburg, Russian Federation). (1) N.M. Batra, E. A. Anumol, J. Smajic, A. N. Enyashin, F. L. Deepak and P. M. F. J. Costa, Morphological phase diagram of a metal halide encapsulated in carbon nanotubes,J. Phys. Chem C, 2018, 122, 24967-24976. (2) E.A. Anumol, A. N. Enyashin, F. L. Deepak, Single Walled BiI3 Nanotubes Encapsulated within Carbon Nanotubes, Scientific Reports 2018, 8, 10133. (3) E. A. Anumol, F. L. Deepak, A. N. Enyashin, Capillary filling of carbon nanotubes by BiCl3: TEM and MD insight, Nanosystems: Physics, Chemistry, Mathematics, 2018, 9 (4), P. 1-11. 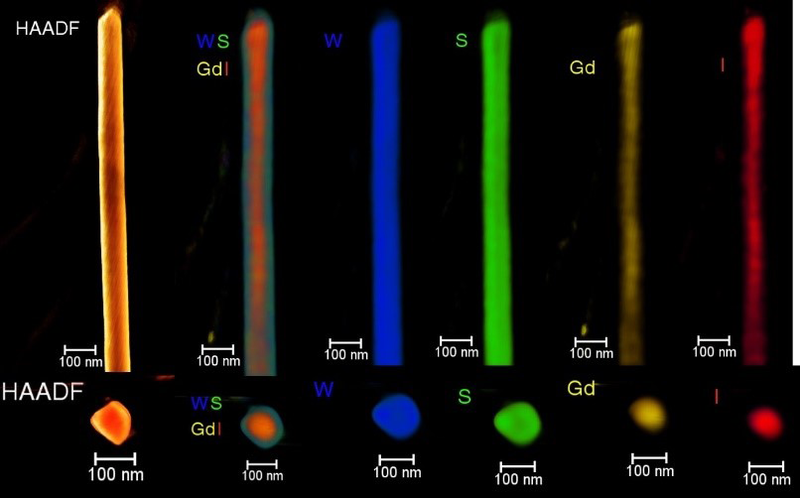 (4) Capillary Imbibition of Gadolinium Halides into WS2 Nanotubes: A Molecular Dynamics, Francis Leonard Deepak and A. N. Enyashin, Isr. J. Chem, Special Issue: Computational Science of Inorganic Nanostructures, 2017, 57, 501-508. (5) Structural and chemical analysis of gadolinium halides encapsulated within WS2 nanotubes, E. A. Anumol, A. N. Enyashin, N. M. Batra, P. M. F. J. Costa and Francis Leonard Deepak, Nanoscale, 2016, 8, 12170-12181. Doping is an effective method to tune the electronic properties for MoS2 as well as other 2D semiconductors and has significant implications on their optical and electronic properties. In this project we fabricate doped MoS2 samples with different dopants and/or doping concentrations and study them employing high resolution imaging and spectroscopy. G. Deokar, Nitul S. Rajput, J. J. Li, F. L. Deepak, W. Ou-Yang, N. Reckinger, C. Bittencourt, J.-F. Colomer, M. Jouaid, Toward the use of CVD-grown MoS2 nanosheets as field-emission source, Beilstein J. of Nanotechnology, 2018, 9, 1686-1694. Monometallic, Bimetallic and multimetallic core-shell nanoparticle/nanowire catalysts of noble metal alloys possesses superior activity, high selectivity and stability at low temperature compared to traditional bulk metals. This makes them ideal candidates for carrying out investigations on their structure, nature of alloy formation and thus understand the way the catalytic activity is enhanced. 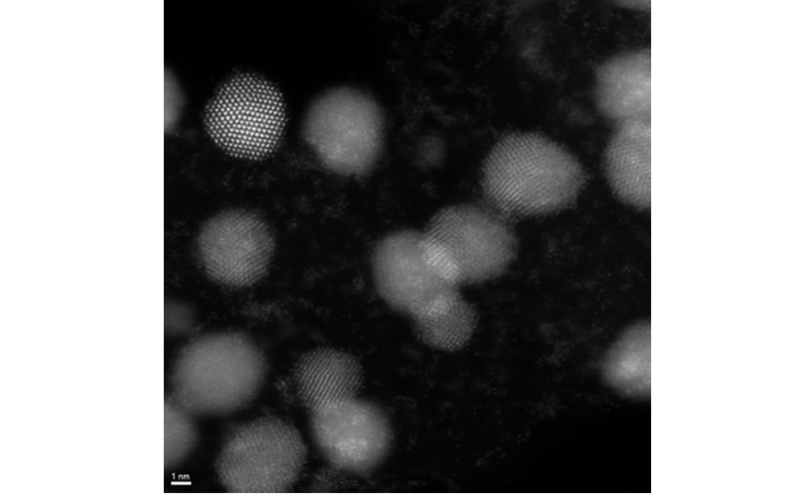 Direct microscopic studies of various bimetallic nanoparticles have been carried out using high-resolution transmission electron microscopy (HRTEM). However, this method is limited because of the small difference in the lattice constant involved. Conventional transmission electron microscopy (CTEM) can produce chemical contrast due to due to different electron beam extinction distances. This has been applied successfully to image bimetallic nanoparticles down to 10 nm in diameter. Since the particles need to be in a low index zone orientation, this method is not easy to use in practice. As an alternative method of nanostructure determination high angle angular dark field (HAADF) imaging technique has been used successfully. The HAADF method has been used to detect variation in chemical composition down to single atom level in structures of nanosized particles. STEM-HAADF imaging carried out in an aberration corrected microscope reveals the atomistic structure and the alloying of bimetallic nanoparticles and nanowires. In combination with high resolution spectral and chemical analysis this techniques provides unprecedented information never obtained till date. Understanding the nature and structure of such bimetallic/multimetallic nanocatalysts is important to enable modification of their structure/morphology/composition and enhance their catalytic performance for fuel cells and other industrial applications. 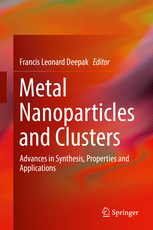 Advanced Electron Microscopy Techniques Towards the Understanding of Metal Nanoparticles and Clusters, Francis Leonard Deepak, E.A. 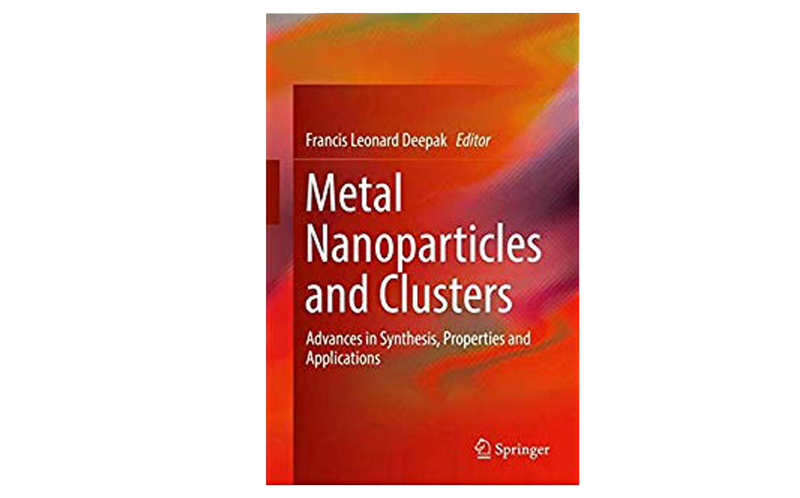 Anumol, Junjie Li, Book: Metal Nanoparticles and Clusters: Recent Advances in the synthesis, properties and applications (Springer), Ed: Francis Leonard Deepak (2018). Advanced Methods of Electron Microscopy in Catalysis Research, Miguel Jose-Yacaman, Arturo Ponce-Pedraza, Sergio Mejia-Rosales and Francis Leonard Deepak, Advances in Imaging & Electron Physics (Academic Press), Editor: Peter Hawkes, vol. 177, pp: 279-342 (2013). Metal Nanoparticles and Clusters Advances in Synthesis, Properties and Applications, Ed: Francis Leonard Deepak, Springer 2018. (1) Biocompatible Au@Carbynoid/Pluronic-F127 nanocomposites synthesized by pulsed laser ablation assisted CO2 recycling, T. Del Rosso, S.R.W. Louro, F.L. Deepak, E.C. Romani, Q. Zaman, Tahir, O. Pandoli, M. Cremona, F.L. Freire Junior, P. De Buele, T. De St. Pierre, R.Q. Aucelio, G. Mariotto, S. Gemini- Piperni, A.R. Ribeiro, S.M. Landi, A. Magalhaes, Appl. Surf. Sci., 2018, 441, 347-355. (2) Qiang Li, Deqiang, Yin, Junjie Li, and Francis Leonard Deepak, Atomic-Scale Understanding of Gold Cluster Growth on Different Substrates and Adsorption-Induced Structural Change, J. Phys. Chem. C 2018, 122, 1753-1760. (3) Magnetic Nanoparticles obtained by two-step Laser Ablation of Nickel and Silver in pure Water, Cristina Gellini, Francis Leonard Deepak, Maurizio Muniz-Miranda, Stefano Caporali, Francesco Muniz-Miranda, Alfonso Pedone, Claudia Innocenti, Claudio Sangregorio, J. Phys. Chem. C 2017, 121, 3597-3606. (4) A convenient route for Au@Ti-SiO2 nanocatalyst synthesis and its application for room temperature CO oxidation, Yogita Sonia, A. Anumol, Chandrani Nayak, Francis Leonard Deepak, C.P. Vinod, J. Phys. Chem. C 2017, 129, 4946-4957. (5) Understanding alloy structure and composition in sinter-resistant AgPd@SiO2 encapsulated catalysts and their effect on catalytic properties, Sourik Mondal, Thattarathody Rajesh, Basab B. Dhar, Markus Snellman, Junjie Li, Francis Leonard Deepak and R. Nandini Devi, New J. Chem., 2017, 41, 14652. (6) Controlling Bimetallic Nanostructures by the Microemulsion Method with Subnanometer Resolution Using a Prediction Model, David Buceta, Concha Tojo, Miomir Vukmirovic, Francis Leonard Deepak, Arturo M. Lopez-Quintela, Langmuir, 2015, 31, 7435-7439. (7) Wavelength dispersion of the local field intensity in silver–gold nanocages, R. Pilot, Zoppi, S. Trigari, F. L. Deepak, E. Giorgetti and R. Bozio, Phys. Chem. Chem. Phys., 2015, 17, 7355. (8) Stable Ruthenium colloids by Laser Ablation, Brandi, S. Caporali, S. Cicchi, L. Lascialfari, M. Muniz-Miranda, S. Orazzini, M. Severi, Francis Leonard Deepak and E. Giorgetti, IEEE NANO, July 2015. In this project HAADF-STEM tomography is employed to obtain the 3D morphology of nanomaterials such as nanocatalysts and core-shell nanotubes. A Titan G2 80-200 TEM/STEM with ChemiSTEM Technology is used for this. EDX-STEM tomography is employed to obtain 3D chemical mapping. Low accelerating voltage (80 kV) enables tomography of beam sensitive materials such as carbon nanotubes. A high tilt tomography holder and Super-X EDS detector (in the Titan ChemiSTEM) comprising four SDD detectors enable the EDX mapping in a wide tilt range (-70° to +70°) . Inspect 3D software is used for reconstruction and Amira for visualization. Dr. Andrey Enyashin – Molecular Dynamics Simulation (Institute of Solid State Chemistry UB RAS Ekaterinburg, RUSSIAN FEDERATION). 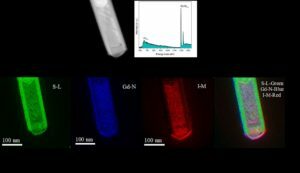 (1) Structural and chemical analysis of gadolinium halides encapsulated within WS2 nanotubes, E. A. Anumol, A. N. Enyashin, N. M. Batra, P. M. F. J. Costa and Francis Leonard Deepak, Nanoscale, 2016, 8, 12170-12181. (2) A Convenient Route for Au@Ti-SiO2 Nanocatalyst Synthesis and its Application for Room Temperature CO Oxidation, A. Yogitha Soni, E. A. Anumol, Chandrani Nayak Francis Leonard Deepak, C. P. Vinod, Chathakudath, Phys. Chem. C 2017, 129, 4946-4957. (1) Correlated Analysis of Inorganic Solar Cells in and outside an Electron Microscope (CASOLEM). (2) FLASH sintering of lead free functional oxides towards sustainable processing of materials for energy and related applications (FLASH). Self-assembled functionalized nanomaterials for biomolecular recognition. (1) In-situ Atomic-Scale Observation of Kinetic Pathways of Sublimation in Silver Nanoparticles, Junjie Li, Zhongchang Wang, Yunping Li and Francis Leonard Deepak, Adv. Sci., In Print 2019. (2) Atomic Scale dynamic observations revealing temperature-dependent multi-step nucleation pathways in crystallization, Junjie Li, Yunping Li, Qiang Li and Francis Leonard Deepak Submitted 2019. (3) Synthesis and characterization of quaternary La(Sr)S-TaS2 misfit layered Nanotubes, M. Serra, E. A. Anumol, D. Stolovas, I. Pinkas, E. Joselevich, R. Tenne, A.N. 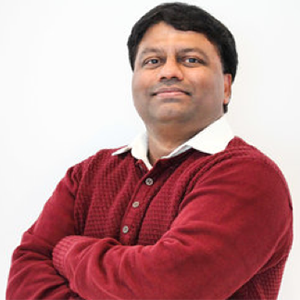 Enyashin and F. L. Deepak, Submitted 2019. (4) Ultrafine-Grained Porous Ir-Based Catalysts for High Performance Overall Water Splitting in Acidic Media, Junjie Li, Junyuan Xu, Qiang Li Nan Zhang, Yunping Li, Lifeng Liu, Zhongchang Wang and Francis Leonard Deepak, Submitted 2019. (5) Large-scale fabrication of hollow Pt3Al Nanoboxes and their electrocatalytic performance for hydrogen evolution reaction, Qiang Li, Bin Wei, Yue Li, Junyuan Xu, Junjie Li, Lifeng Liu and Francis Leonard Deepak, Submitted 2019. (1) Junjie Li, Zhongchang Wang and Francis Leonard Deepak, Direct Atomic-Scale Observation of Intermediate Pathways of Melting and Crystallization in Supported Bi-Nanoparticles, J. Phys. Chem. Lett., 2018, 9, 961-969. (2) Junjie Li, Jiangchun Chen, Hua Wang, Na Chen, Zhongchang Wang, Lin Guo and Francis Leonard Deepak, In situ Atomic-Scale Study of Particle-Mediated Nucleation and Growth in Amorphous Bi to Nanocrystal Phase Transformation, Adv. Sci., 2018, 1700992. (3) Qiang Li, Deqiang, Yin, Junjie Li and Francis Leonard Deepak, Atomic-Scale Understanding of Gold Cluster Growth on Different Substrates and Adsorption-Induced Structural Change, J. Phys. Chem. C, 2018, 122, 1753-1760. (4) E. A. Anumol, A. N. Enyashin, F. L. Deepak, Single Walled BiI3 Nanotubes Encapsulated within Carbon Nanotubes, Scientific Reports 2018, 8, 10133. (5) E. A. Anumol, F. L. Deepak, A. N. Enyashin, Capillary filling of carbon nanotubes by BiCl3: TEM and MD insight, Nanosystems: Physics, Chemistry, Mathematics, 2018, 9 (4), P. 1-11. 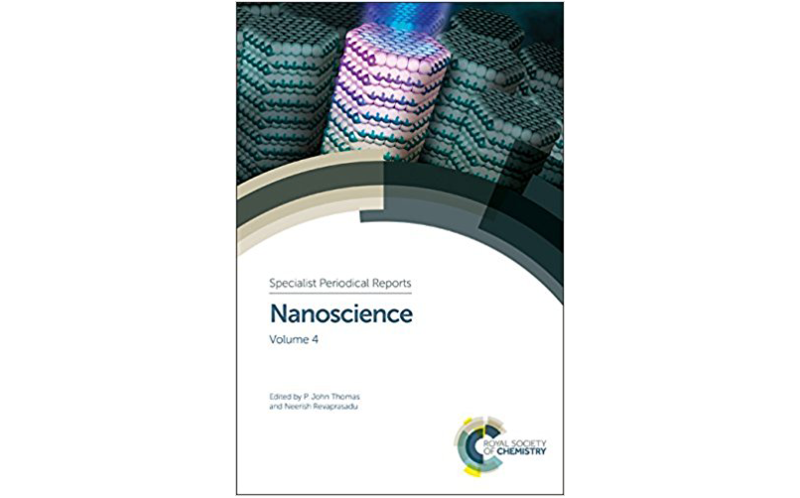 (6) G. Deokar, Nitul S. Rajput, J. J. Li, F. L. Deepak, W. Ou-Yang, N. Reckinger, C. Bittencourt, J.-F. Colomer, M. Jouaid, Toward the use of CVD-grown MoS2 nanosheets as field-emission source, Beilstein J. of Nanotechnology, 2018, 9, 1686-1694. Highlight in Chemistry Views: May 01, 2018. (8) J. Pires, A. V. Silva, A. Moskaltsova, F. L. Deepak, P. Brogueira, D. C. Leitao, S. Cardoso, Multilevel Process on Large Area Wafers for Nanoscale Devices, J. Manufacturing Processes, 2018, 32, 222-229. (9) T. Del Rosso, S.R.W. Louro, F.L. Deepak, E.C. Romani, Q. Zaman, Tahir, O. Pandoli, M. Cremona, F.L. Freire Junior, P. De Buele, T. De St. Pierre, R.Q. Aucelio, G. Mariotto, S. Gemini-Piperni, A.R. Ribeiro, S.M. Landi, A. Magalhaes, Biocompatible Au@Carbynoid/Pluronic-F127 nanocomposites synthesized by pulsed laser ablation assisted CO2 recycling, Appl Surf. Sci., 2018, 441, 347-355. (10)N. M. Batra, E. A. Anumol, J. Smajic, A. N. Enyashin, F. L. Deepak and P. M. F. J. Costa, Morphological phase diagram of a metal halide encapsulated in carbon nanotubes, J. Phys. Chem C, 2018, 122, 24967-24976. (11)Marek Piotrowski, Miguel Franco, Viviana Sousa, Jose Rodrigues, Francis Leonard Deepak, Yohei Kakefuda, Naoyuki Kawamoto, Tetsuya Baba, Bryan Owens-Baird, Pedro Alpuim, Kirill Kovnir, Takao Mori, Yury V. KolenÂ´ko, Probing of Thermal Transport in 50-nm Thick PbTe Nanocrystal Film by Time-Domain Thermoreflectance, J. Phys. Chem C, 2018, 122, 27127-27134. (1) Junjie Li, Zhongchang Wang and Francis Leonard Deepak, In Situ Atomic-Scale Observation of Droplet Coalescence Driven Nucleation and Growth at Liquid/Solid Interfaces, ACS Nano, 2017, 11, 5590-5597. (2) Yogitha Soni, E. A. Anumol, Chandrani Nayak, Francis Leonard Deepak, C. P. Vinod, A Convenient Route for Au@Ti-SiO2 Nanocatalyst Synthesis and its Application for Room Temperature CO Oxidation, J. Phys. Chem. C 2017, 129, 4946-4957. (3) Francis Leonard Deepak and A. N. Enyashin, Capillary Imbibition of Gadolinium Halides into WS2 Nanotubes: A Molecular Dynamics View, Isr. J. Chem, Special Issue: Computational Science of Inorganic Nanostructures, 2017, 57, 501-508. (4) Andre J. Lecloux, Rambabu Atluri, Yury V. Kolenko, Francis Leonard Deepak, Discussion about the use of the Volume Specific Surface Area (VSSA) as criteria to identify nanomaterials according to the EU definition. Part two: Experimental approach, Nanoscale, 2017, 14952-14966. (5) Sourik Mondal, Thattarathody Rajesh, Basab B. Dhar, Markus Snellman, Junjie Li, Francis Leonard Deepak and R. Nandini Devi, Understanding alloy structure and composition in sinter-resistant AgPd@SiO2 encapsulated catalysts and their effect on catalytic properties, New J. Chem., 2017, 41, 14652. 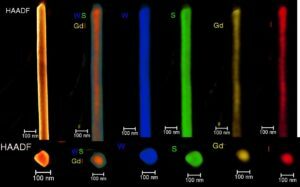 (6) Cristina Gellini, Francis Leonard Deepak, Maurizio Muniz Miranda, Stefano Caporali, Francesco Muniz-Miranda, Alfonso Pedone, Claudia Innocenti, and Claudio Sangregorio, Magneto-Plasmonic Colloidal Nanoparticles Obtained by Laser Ablation of Nickel and Silver Targets in Water, J. Phys. Chem. C 2017, 121, 3597-3606. (7) D. Costa, S. Serrano-Guisan, B. Lacoste, A. S. Jenkins, T. Bohnert, M. Tarequzzaman, J. Borme, F. L. Deepak, E. Paz, J. Ventura, R. Ferreira & P. P. Freitas, High power and low critical current density spin transfer torque nanooscillators using MgO barriers with intermediate thickness, Scientific Reports, 2017, 7, 7237. 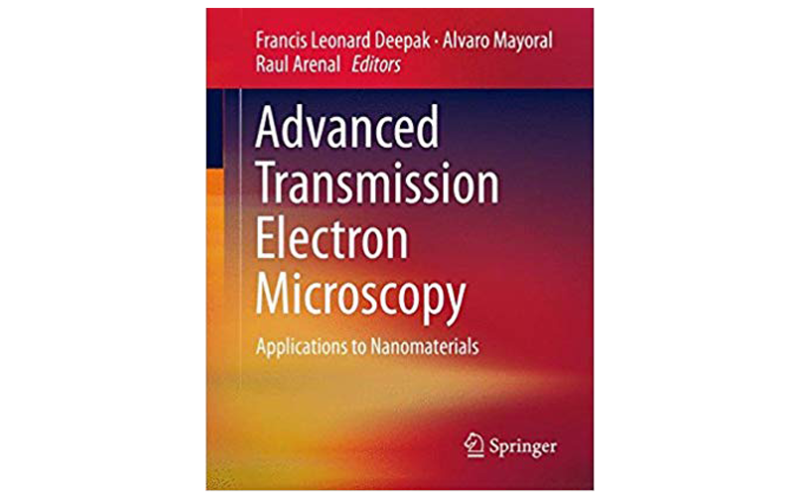 (8) Francis Leonard Deepak and Gilberto Casillas, Recent Highlights in advanced transmission electron microscopy techniques: applications to nanomaterials, Nanoscience (Specialist Periodical Reports, Royal Society of Chemistry), Vol 4, 2017, 4, 29-56 (Eds: P. John Thomas and Neerish Revaprasadu) (Book chapter). (2) Junjie Li, Qiang Li, Zhongchang Wang and Francis Leonard Deepak, Real-Time Dynamical Observation of Lattice Induced Nucleation and Growth in Interfacial Solid-Solid Phase Transitions, Cryst. Growth Des. 2016, 16, 7256-7262. (3) Rodrigo Magana, Yury V. Kolenko, Francis Leonard Deepak, Conxita Solans, Rekha Goswami Shrestha, Jonathan P. Hill, Katsuhiko Ariga, Lok Kumar Shrestha and Carlos Rodriguez-Abreu, From Chromonic Self-Assembly to Hollow Carbon Nanofibers for Efficient Materials in Supercapacitor and Vapor Sensing Applications, ACS Applied Materials & Interfaces, ACS Appl. Mater. Interfaces 2016, 8, 31231-31238. (1) Francis Leonard Deepak Manuel Banobre-Lopez, Enrique Carbo-Argibay, M. Fatima Cerqueira, Yolanda Pineiro-Redondo, Jose Rivas, Corey M. Thompson, Saeed Kamali, Carlos Rodri­guez-Abreu, Kirill Kovnir, and Yury V. Kolenko, A Systematic Study of the Structural and Magnetic Properties of Mn-,Co, and Ni-Doped Colloidal Magnetite Nanoparticles, J. Phys. Chem. C 2015, 119, 11947 – 11957. (2) Nitin M Batra, Shashikant P Patole, Ahmed Abdelkader, Dalaver H Anjum, Francis L Deepak and Pedro M F J Costa, Structural changes of electron and ion beam-deposited contacts in annealed carbon-based electrical devices, Nanotechnology, 2015, 26, 445301. (3) David Buceta, Concha Tojo, Miomir Vukmirovic, Francis Leonard Deepak, Arturo M. Lopez-Quintela, Controlling Bimetallic Nanostructures by the Microemulsion Method with Subnanometer Resolution Using a Prediction Model, Langmuir, 2015, 31, 7435-7439. (4) R. Pilot, A. Zoppi, S. Trigari, F. L. Deepak, E. Giorgetti and R. Bozioa, Wavelength dispersion of the local field intensity in silver-gold nanocages, Phys. Chem. Chem. Phys. 2015, 17, 7355-7365. (5) Eunice Cunha, Fernanda Proenca, Florinda Costa, Antonio J. Fernandes, Marta A. C. Ferro, Paulo E. C. Lopes, Mariam Debs, Manuel Melle-Franco, Francis Leonard Deepak, Maria C. Paiva, Self-assembled functionalized graphene nanoribbons from carbon nanotubes, ChemistryOpen 2015, 4, 115-119. (6) Maryam Salimian, Maxim Ivanov, Francis Leonard Deepak, Dmitri Petrovykh, Igor Bdikin, Marta Ferro, Andre Kholkin, Elby Titus and Gil Goncalves, Synthesis and characterization of reduced graphene oxide /spiky nickel nanocomposites for nanoelectronic applications, J. Mater. Chem. 2015, 3, 11516 -11523. (8) D. Costa, S. Serrano-Guisan, J. Borme, F. L. Deepak, M. Tarequzzaman, E. Paz, J.Ventura, R. Ferreira and P.P. Freitas, Impact of MgO thickness on the performance of Spin Transfer Torque Nano-Oscillators, IEEE Trans. Magn. 2015. 51, 1401604. 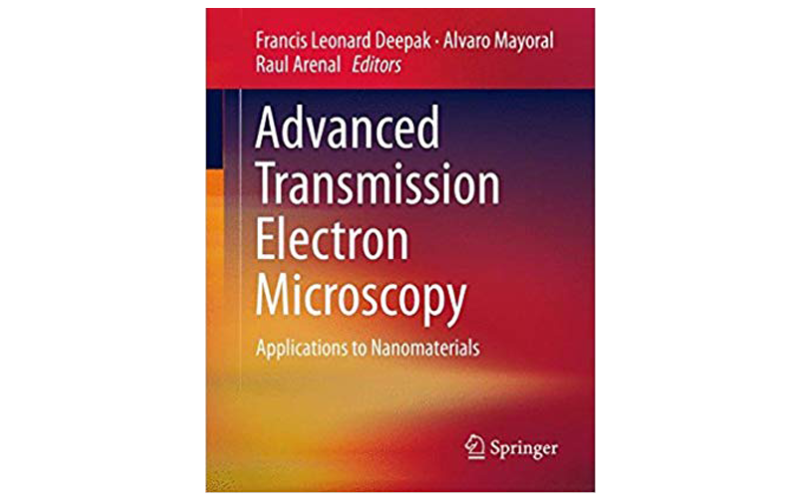 (9) Advanced Transmission Electron Microscopy: Applications to Nanomaterials, Ed: Francis Leonard Deepak, Alvaro Mayoral and Raul Arenal, Springer (2015) (Edited Book). (1) Stephanie Vial, Dmytro Nykypanchuk, Francis Leonard Deepak, Marta Prado, and Oleg Gang, Plasmonic response of DNA-Assembled Gold Nanorods (AuNRs), Journal of Colloid and Interface Science, 2014, 433, 34-42. (2) Yury V. Kolenko, Manuel Banobre-Lopez, Carlos Rodri­guez-Abreu, Enrique Carbo-Argibay, Francis Leonard Deepak, Dmitri Y. Petrovykh, M. FaÌtima Cerqueira, Saeed Kamali, Kirill Kovnir, Dmitry V. Shtansky, Oleg I. Lebedev, and Jose Rivas, High Temperature Magnetism as a Probe for Structural and Compositional Uniformity in Ligand-Capped Magnetite Nanoparticles, J. Phys. Chem. C 2014, 118, 28322-28329. (3) Ana V. Silva, Diana C. Leitao, Ricardo Ferreira, Elvira Paz, Francis Leonard Deepak, Susana Cardoso, and Paulo P. Freitas, Linear nanometric tunnel junction sensors with exchange pinned sensing layer, Journal of Applied Physics, 2014, 115, 17E526. (4) Diana C. Leitao, Elvira Paz, Ana V. Silva, Anastasiia Moskaltsova, Simon Knudde, Francis Leonard Deepak, Ricardo Ferreira, Susana Cardoso and Paulo P. Freitas, Nanoscale Magnetic Tunnel Junction sensing devices with soft pinned sensing layer and low aspect ratio, IEEE Transactions on Magnetics, 2014, 50, 4410508. (5) Francis Leonard Deepak, Jose Rivas, Miguel Jose-Yacaman, Understanding the structure of nanocatalysts with High Resolution Scanning/ Transmission Electron Microscopy, IOP Conf. Ser. : Mater. Sci. Eng. 2014, 55, 012005 (Review). (1) Raul Perez-Hernandez, Claudia E. Gutierrez-Wing, Gilberto Mondragon-Galicia, Albina Gutierrez-Marti­nez, Francis Leonard Deepak, Demetrio Mendoza-Anaya, Ag nanowires as precursors to synthesize novel Ag-CeO2 nanotubes for H2 production by methanol reforming, Cat. Today, 2013, 212, 225-231 (Special Issue: Selected Contributions of the Fourth International Symposium on New Catalytic Materials (NCM-4)). (2) M.F. Melendrez, K. Hanks, Francis Leonard-Deepak, F. Solis-Pomar, E. Martinez Guerra, E. Perez-Tijerina and M. Jose-Yacaman, A novel and high yield synthesis of CdSe nanowires, J. Mat. Sci. 2013, 48, 4983-4988. (3) Ana Silva, Diana C. Leitao, Zhiwei. Huo, Rita J. Macedo, Ricardo Ferreira, Elvira Paz, Francis Leonard Deepak, Susana Cardoso, and Paulo P. Freitas, Switching field variation in MgO magnetic tunnel junction nanopillars: experimental results and micromagnetic simulations, IEEE Trans. Magn. 2013, 49 (7), 4405-4408. (4) Antonio Lopes, Susana Cardoso, Ricardo Ferreira, Elvira Paz, Francis Leonard Deepak, Jaime Sanchez, Diego Ramirez, Sergio I. Ravelo and Paulo P. Freitas, MgO Magnetic Tunnel Junction Electrical Current Sensor with Integrated Ru Thermal Sensor, IEEE Trans. Magn. 2013, 49 (7), 3866-3869. (5) Miguel Jose-Yacaman, Arturo Ponce-Pedraza, Sergio Meijia-Rosales and Francis Leonard Deepak, Advanced Methods of Electron Microscopy in Catalysis Research, Advances in Imaging & Electron Physics (Academic Press) Editor: Peter Hawkes (2013) (Book Chapter). For further queries please contact the Research Group Leader: Francis Leonard Deepak (leonard.francis@inl.int). Uncovering the evolutional pathways of melting and crystallization atomically is critical to understanding complex microscopic mechanism of first-order phase transformation. Here, we conduct in-situ atomic-scale observations of melting and crystallization in supported Bi-nanoparticles under heating and cooling within an aberration-corrected TEM. We provide direct evidence to the multiple intermediate state events in melting and crystallization. The melting of the supported nanocrystal involves the formation and migration of domain boundaries and dislocations due to the atomic rearrangement under heating, which occurs through a size-dependent multiple intermediate state. A critical size, which is key to inducing the transition pathway in melting from two to four barriers, is identified for the nanocrystal. In contrast, crystallization of a Bi droplet involves three stages. These findings demonstrate that the phase transformations cannot be viewed as a simple single barrier-crossing event but as a complex multiple intermediate state phenomenon, highlighting the importance of nonlocal behaviors. New Paper Published: E. A. Anumol, F. L. Deepak, A. N. Enyashin, Capillary filling of carbon nanotubes by BiCl3: TEM and MD insight, Nanosystems: Physics, Chemistry, Mathematics, 2018, 9 (4), P. 1-11. Paper published in Appl.Surf.Sci: Biocompatible Au@Carbynoid/Pluronic-F127 nanocomposites synthesized by pulsed laser ablation assisted CO2 recycling, T. Del Rosso, S.R.W. Louro, F.L.Â Deepak, et al. Appl Surf. Sci., 2018, 441, 347-355. Paper published in J. Phys. Chem. C:Atomic-Scale Understanding of Gold Cluster Growth on Different Substrates and Adsorption-Induced Structural Change, Qiang Li, Deqiang, Yin, Junjie Li, and Francis Leonard Deepak, J. Phys. Chem. C, 2018, 122, 1753-1760.